We strive to provide complete care for our patients. Learn more about Dr. Armin. WELCOME TO CLEVELAND SPINE & INJURY! For more information or to schedule an appointment with Dr. Armin, call 440-232-4325 today! Dr. Dereck Armin is a chiropractic physician serving Cleveland, Bedford, Maple Heights, Garfield Heights, Solon, Bedford Heights, Northfield, Macedonia and the surrounding communities. Our chiropractic physician and the rest of the friendly team at Cleveland Spine & Injury are dedicated to effective solutions to target your unique needs, whether you are suffering from back pain, neck pain, headaches, or even just plain old muscular tightness and tension. You may need pain relief after suffering a car accident, experiencing an work injury, or if you have a specific condition such as chronic back pain or a spinal condition such as sciatica or degenerative disc disease; even if you just want to improve your overall health, our chiropractic physician can help you achieve your wellness goals! Please visit the testimonials page to see what our patients are saying about our clinic. At your first visit to Cleveland Spine & Injury, Dr. Dereck Armin will explain the science behind how chiropractic care works, and give you a full evaluation to see if chiropractic care is right for you. If there is a good fit, we can develop a plan of chiropractic care that is specific to your condition and health goals. If you are new to seeing a chiropractic doctor and want to find out more, please email us or call 440-232-4325 to receive personalized answers to your questions from our friendly team. We also welcome referrals, so we invite you to share our chiropractic and wellness information with your friends and loved ones. Sign-up using the form or call us at 440-232-4325 to take advantage of this exclusive offer. Dr. Armin has advanced training in the diagnosis and treatment of spinal disc/spinal stenois/spinal herniation and spinal degeneration. He utilizes a multi-disciplinary approach. 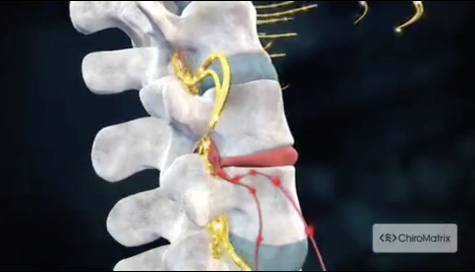 This approach includes using the latest therapeutic, spinal decompression, cold laser and diagnostic equipment as well as working in conjunction with doctors specializing in pain management, orthopedics, neurology and spinal surgery so that all patients receive the best possible care and recover in the shortest time possible. "I had a herniated disc and two bulging discs. Four plus years of lower back pain, pain down my right leg, and numbness in my right leg. I was unable to sleep. Now, I have 95% pain relief, able to sleep in bed all night and able to do more than a couple hours of light work. I am functioning normally again. The decompression therapy has been a real blessing for me."